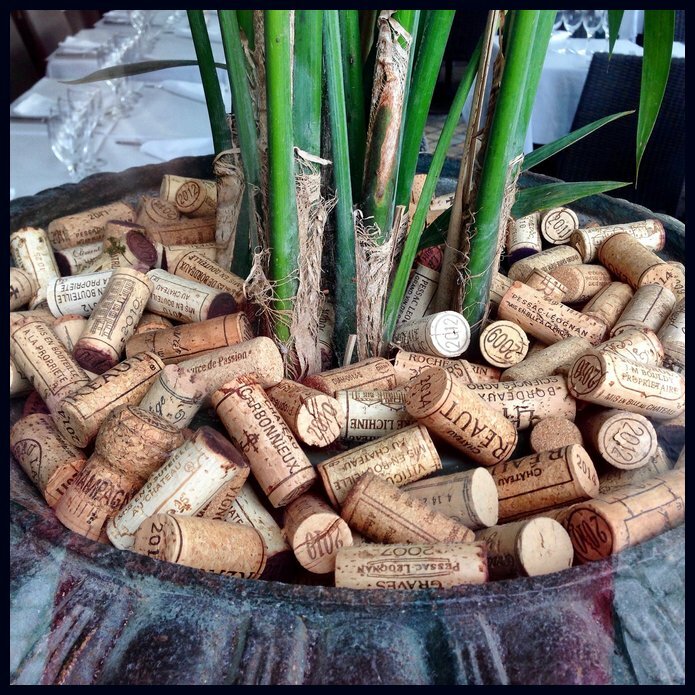 Corks of seasons past, table set, waiting for a new wine! 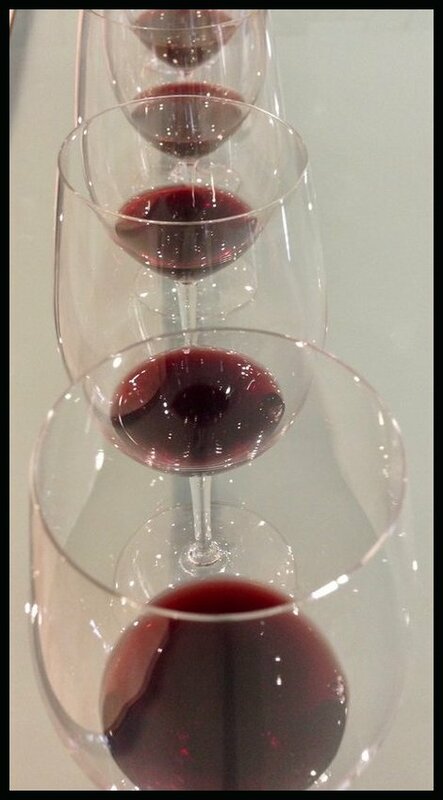 In the wine world, falling into a habit of drinking the same wine is easy. While reaching for that bottle is familiar and predictable exploration demands something different. The #winophiles, in conjunction with the Vignobles & Signatures group of French wineries are here to help take the guess work out of your wine selection this holiday season. 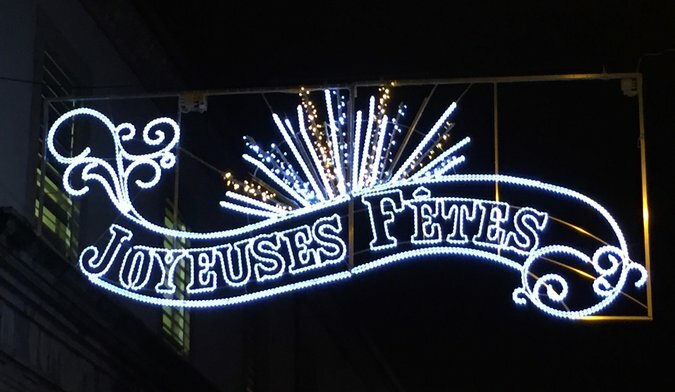 This is a brief preview and invitation to join in the French-style season fun. Just what is a French-Style Season? Feedback revolved around two items, as you would expect from a French wine loving group of people: wine and food! This pastry wheel has four flavors- tapenade, garlic and anchovy, persillade, tomato and red pepper- and will pair with almost any wine. It’s a great way to start a seasonal gathering! 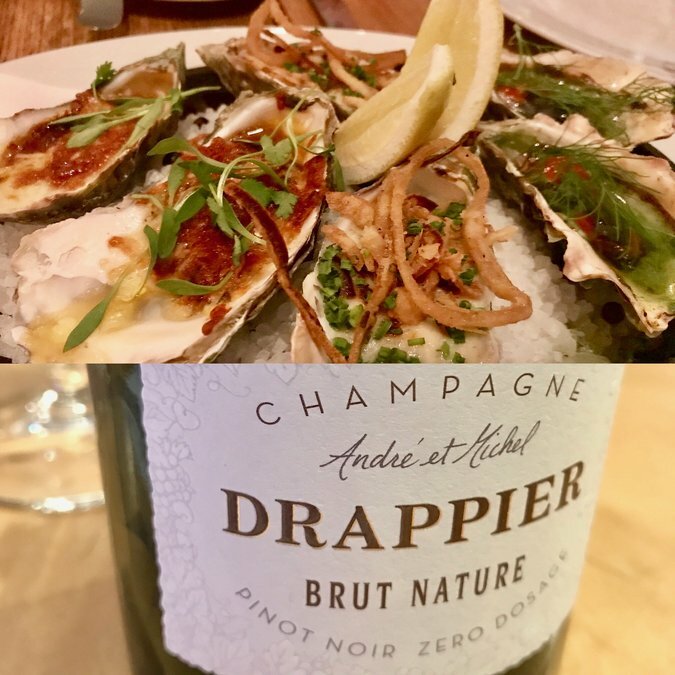 Bubbles and oysters?!? Why yes! We will take the guesswork out of selecting wines for your holiday celebrations. Expect a variety of wines with information, tips, and I’m certain ‘tis the season food that will pair with each wine. A huge merci to Vignobles & Signatures! write (whether educating, sharing details of a wine trip, etc.) we’re passionate about learning and sharing French wine with you. Did I mention we like to get social?!? Everyone is welcome, whether spectating or joining in by commenting and/or asking questions; just be sure to use the #winophiles hashtag within your tweets so we can properly welcome you. As 2018 comes to a close, our December chat will be a celebration scanning many regions and wines of France! Think You’d Like To Join Our Group? Some #winophiles received samples for December, but anyone can participate. Select one or a few French wines and decide what “French-Style Season” means to you. If you have questions, give me a shout! Contact me to tell me yes! Include your blog url, Twitter handle, e.g., #winophiles and any other social media details. We like to know who’s participating to include you and give shout-outs along the way. Contact me here. Send your post title to me by Wednesday, December 12th to be included in the preview post. It includes links to participant blogs. Publish your post anytime Friday or Saturday, December 14th or 15th. Include links to the other #Winophiles participants in your post, and a description of what the event is about. I’ll provide the HTML code that you can easily put in your post — which will link to people’s general blog url. Clearly disclose if your article is sponsored or if the featured wine(s) were received as samples. Get social! After the posts go live, please visit your participant bloggers’ articles to comment and share. We have a FaceBook group for member bloggers, too. If you need an invitation please let me know. Like oysters and Champagne or sparkling wines, habits can be a good thing but so can stepping out of the box and stretching yourself. The #winophiles hope we can help you pick a new wine or two and have a happy French-Style holiday season. Thank you to Michèle Piron / Vinconnextion, and Vignobles & Signatures, our generous sponsors! After reading your invitation post, I think I’m finally getting into the holiday spirit! So many ideas for pairings, celebrating, and reminiscing. Cheers Lynn! Love the pastry wheel with a provencal tapanede! Thanks for hosting! Time to figure out wine and menu! 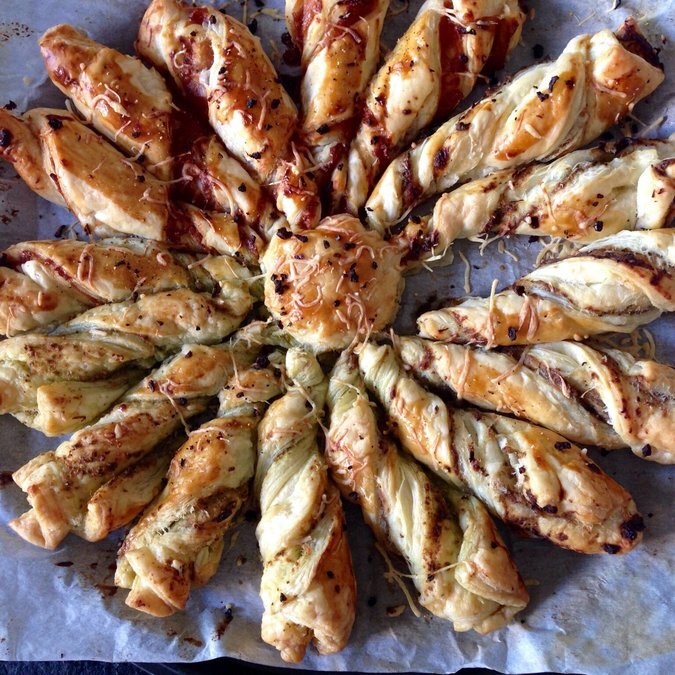 It’s a good one that pastry wheel, and easy to make if you purchase the dough! Look forward to seeing your menu. Keep me posted on how these wines taste! Can I just come to France for some first hand French Style! You are welcome anytime Jane!